Inaccurate food labeling is a rampant problem in America. That Kobe steak you ordered? Unless you’re at one of three U.S. restaurants to whom Japan sells the rare beef, it’s probably a cheaper cut. That white tuna sushi you crave? It could actually be escolar, otherwise known as “Ex-Lax fish.” Journalist Larry Olmsted shows just how prolifically the food industry lies in his new book released this month, Real Food/Fake Food: Why You Don’t Know What You’re Eating and What You Can Do about It. To research for Real Food/Fake Food, Olmsted traveled around the world, hitting up Alaska, Italy, and Japan (to name a few countries) in a quest for the truth about what we’re eating. He found items as common as honey, rice, and coffee as well as more exotic items like Kobe beef are often either cut with other ingredients or, in some cases, substituted with cheaper food items pretending to be the real thing. Let’s take the example of extra-virgin olive oil. 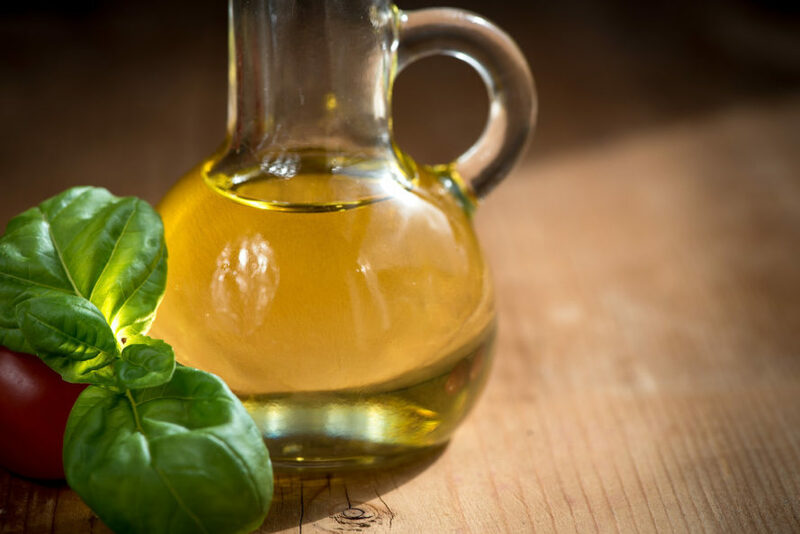 Often other oils like soybean oil or peanut oil are added to olive oil, but they’re not listed under the ingredients. And if the bottle says “pure” on it, it’s probably not a good buy; that misleading label actually means the olive oil is the lowest grade it can be. We can’t exactly swear off eating food, so Olmsted offered tips of what to look for in his book. In the case of olive oil, there are a few more trustworthy labels. The California Olive Oil Council’s “COOC – Certified Extra Virgin” label can be trusted, as can UNAPROL and EVA labels, said Olmsted. Marine Stewardship Council (MSC), Global Aquaculture Alliance’s Best Aquaculture Practices (BAP), and Alaska Seafood: Wild, Natural, Sustainable logos can help you find quality seafood. Journalist Larry Olmsted exposed all the fake food we're eating in his new book Real Food/Fake Food: Why You Don't Know What You're Eating and What You Can Do About It. Foods like olive oil are often cut with other oils. Fish like escolar is often passed off as another type of fish, like white tuna.